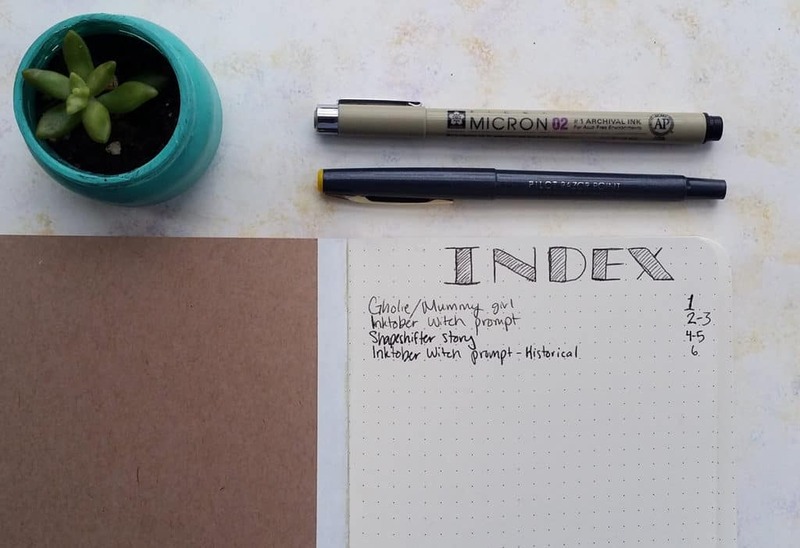 If you use a bullet journal, you know how awesome it can be for planning out everything. Habits, goals, task lists and cleaning calendars – all of these are extremely useful to have in your bullet journal. Random thoughts and notes are great to add to dailies, but what if you have a consistent thread of these? Yeah, you could start a collection for those ideas. But it’s so easy for a collection to get left behind and forgotten. For me, it was creative ideas – story ideas, character development, art inspiration…. I wanted a place to keep it all and still keep it organized. My solution is the creative bullet journal. Why not keep this in my daily bullet journal? A few reasons, actually. Like I said before, I have had issues with little collections getting left behind in the dust and never getting used. Also, I don’t want to use up my Leuchtturm too quickly. I currently go through at a pace of roughly 5-6 months per journal, and I like it that way. I bought a smaller dot grid Northbooks notebook instead so I can burn through it without fretting about price. Do you ever get that mood of creative energy with no particular inspiration? When that hits, I don’t want to have to flip and flip through my bullet journal to find a particular page. 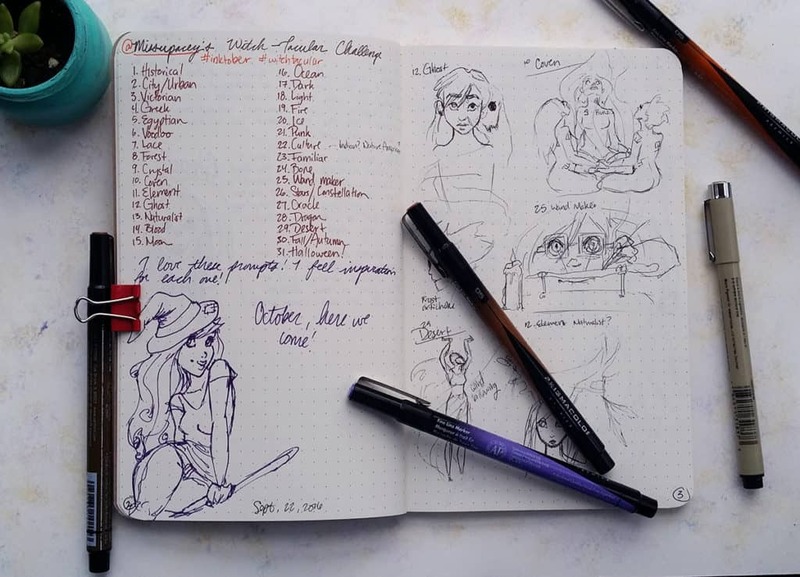 I want to be able to grab my creative bullet journal and flip through it until I land on something awesome to work on. Keeping my creative ideas together will make it easier to act fast when I feel such a wave. If I get struck with an idea or inspiration on the go, it’s all good. I’ll just make a quick note in my daily bullet journal, then transfer it to my creative bullet journal later for further analysis. If I want to encourage myself to develop a project, it has to be on paper. That’s the only way I can really form connections and push the boundaries. I like the messiness of a proper brainstorm, and I am shy of going nuts like that in my daily bullet journal. 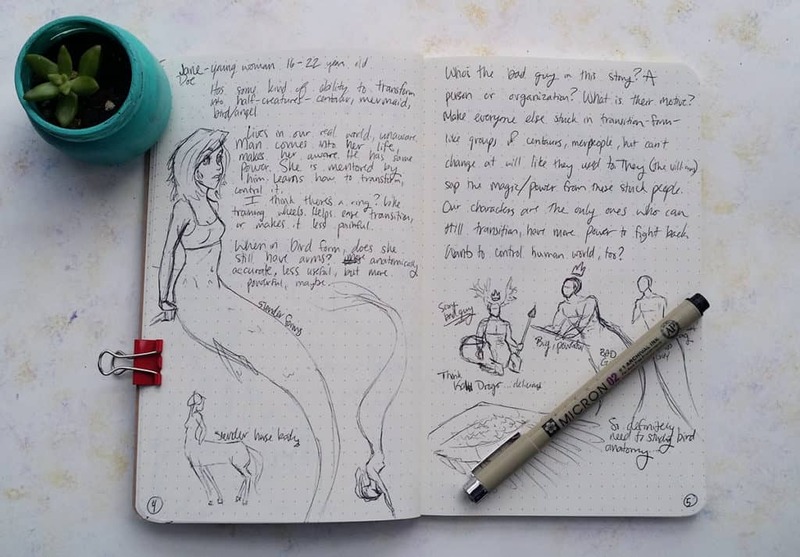 In my creative bullet journal, I keep it restricted to two categories: writing and drawing. I have been trying to push myself to spend more time working in both of those sections of my life. When an idea gets stuck in my craw, like my recent mummy dream, I explore it a little bit more. I’ll write about the characters, the story line, the conflict, etc… Later, I can come back and decide if I want to pursue that thought a little bit more and turn it into a project. For art ideas, I simply jot down whatever is inspiring me at the moment. I wrote in @Missupacey’s Inktober Challenge because it delighted me and gave me a whole bunch of ideas. I love art assignments, and this hit the spot for me. I was able to scribble down some quick sketches of what I was thinking and pour it out of my head. These sketches aren’t meant to be pretty. If I want to expand and make a proper drawing, I can transfer to one of my sketchbooks and go to town. I just want to spill my thoughts onto paper so a precious idea won’t slip away. I haven’t really had a chance to push the paper capabilities of Northbooks notebooks, but it seems to be great for standard pens. So far, I’ve used Prismacolor Illustration Markers, Staedtler Triplus Fineliners, and Microns – all have done fine on the paper. There’s a bit of ghosting for each pen, but no more than a Leuchtturm1917. If you aren’t sure about using a Northbook for creative reasons, consider using one for a financial planner instead. I’ll start pushing the journal’s limits and trying new pens soon. My way of keeping a creative bullet journal is not complex. All I do is flip to a fresh page, work on a story or idea for a while. Then I note my work in the index for reference. It’s that simple! This system could easily work for any group of similar projects. If you are a musician, it could be a great place to experiment with lyrics or notes. If you’re a comedian, it may be the perfect way to store all the jokes you’re testing out. If you’re a craftswoman, this journal can safely house all of your project ideas. As long as you have ideas to fill it, the creative bullet journal can be exactly what you need to push your ideas to the next stage. 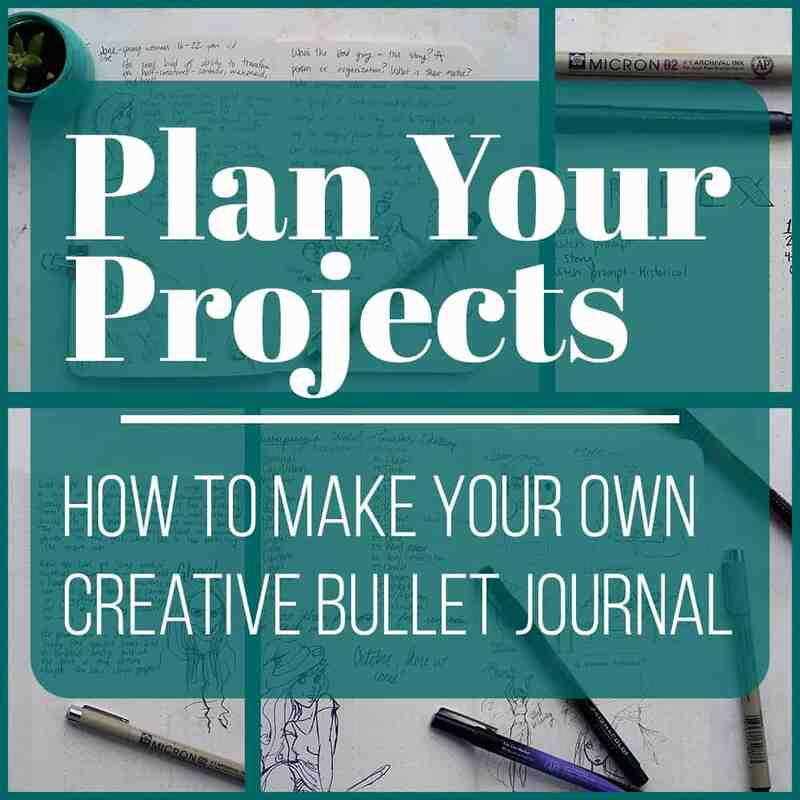 If you love your bullet journal but you feel that it doesn’t facilitate focus for certain projects, consider starting your own creative bullet journal. You can keep it on your desk for when inspiration strikes, bring it with you in your purse, or only pull it out every few days. It can be lightning in a bottle – full of fantastic strokes of inspiration and energy all in one place. It’s an easy way to branch out from your current bullet journal and organize your thoughts more. And a little bit of organization can go a long way in helping you reach your fullest potential. Love this idea! I’m a writer not an artist but I use my creative/writer’s journal much in the same way you use yours. I have begun to work on my second series and use my journal for character development, plot lines, setting descriptions, title options, timelines, and more. My writing journal goes everywhere with me. Like you, I never know when inspiration is going to strike. Too many ideas get lost if I count on my brain to remember everything. This way, I can write it all down and come back to it when I’m ready. Nice to hear that I’m not the only one who does this. YES!! That inspiration can strike anywhere and a journal is much better place to jot it down over a napkin. I’m waiting for my first Leuchtterm to arrive (tomorrow!) and already sense I want a separate journal for business related ideas. I’m really excited about getting started! You are going to love having a Leuchtturm 😀 They really are the best. I hope you enjoy writing down your thoughts and creative ideas! 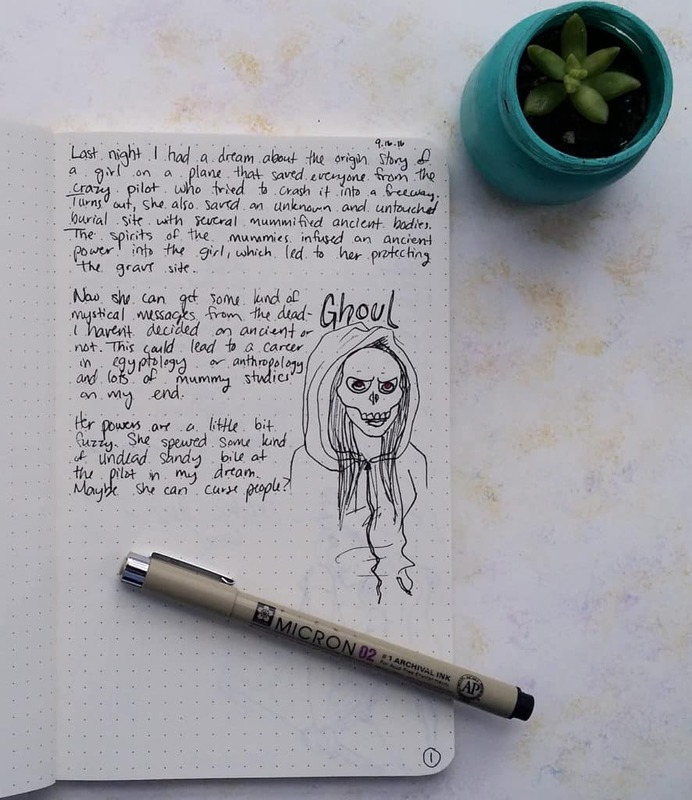 I’m just starting my bullet journal but I could tell my creative pages were going to blossom quickly into trouble 🙂 A creative journal that is sometimes cross referenced in my bullet journal is just the thing! Love the blog! I’m sure that after playing with your bullet journal for a few weeks, you’ll find an excellent rhythm!